Working your way through 40 or 50 thousand fonts could be an impossible task. This would be the case unless you knew the name of the font or a keyword that might help to narrow your search. FFonts.net has broken its free font directory down into 87 categories. The font types in these categories range from the most common to weird and wonderful. A few categories feature a handful of fonts, while a few contain several thousand fonts. The size of the majority of these categories is somewhere in between. An “88th” category should also be mentioned. It consists of those font types that have yet to be categorized. In fact, roughly half the total number making up the directory. A word of warning. Browsing can be addictive. However, don’t be afraid to choose this method of looking for a font style you could use. By doing so, you’ll probably find so many interesting fonts that you’ll want to keep looking for more. It’s almost like impulse shopping, except you don’t necessarily have to download them all. A wish list is available that you can place fonts in, and go back later to see which ones you would like to download. When you find a font you need or feel you may have a use for, you’ll want to preview it. The preview will display the upper and lower cases, with special characters included. The available options include download, share, or add to your wish list. You’ll need to sign in to download a free font, but you don’t have to register. There’s a limit as to how many free fonts you can download, the limit being 50 font styles per day. If you’ve compiled a wish list, simply click on the font styles you wish to download. The fonts you download will be placed in a zip file, and show up as exec files. These exec files may contain ads and other information. This is a relatively common website practice when free products are made available. When you open the files up, you should be careful of what you click on. Uncheck all the boxes and select “Custom Installation”. This will allow you not to worry about features you don’t need to be loaded onto your computer. FFonts provides detailed instructions for downloading fonts in Windows, Linux, and Mac. If you intend to download more than 50 font styles per day, you’ll find yourself in the heavy user category. This means you’ll have to register and sign up for the Premium Version, which involves a fee. It’s $29 per year, so it’s not all that much. With the Premium Version, you can download up to 200 font files per day. 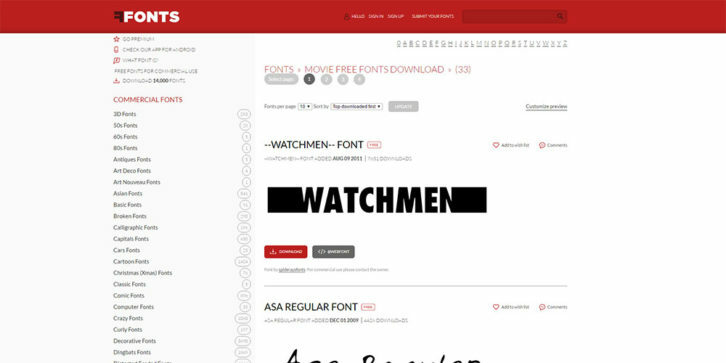 You can also download a collection of 14,000+ fonts, which you receive in 3 zip files. Note that installing thousands of fonts could cause some computers to slow down. Yet, unless you’re an extremely heavy FFonts user, it’s not likely to be a problem. Insofar as security issues using FFonts.net are concerned, there are none. FFonts.net is completely safe. The website has been tested by McAfee and Symantec-based Norton Safe Web. Neither has found any security issues. Furthermore, Scam Advisor has assigned a very high trust rating to FFonts.net. You may never have a need for thousands of free font styles. However, it definitely pays to have a resource like FFonts.net at your fingertips. Moreover, if you’re a heavy user, the $29 annual fee is a real bargain. It’s possible to get hooked while browsing since there are so many interesting font styles. However, browsing FFont’s free offerings can also be inspiring. It’s unlikely you’ll ever design a website around a given font style. Nevertheless, the font or fonts you choose often play a significant role in a website’s success.